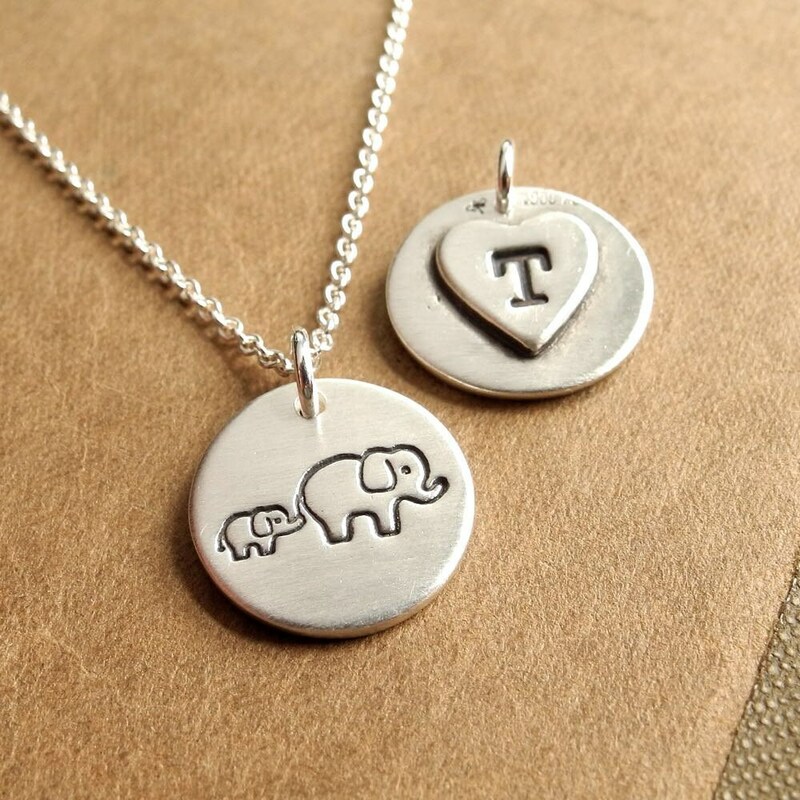 My Personalized Small Mother and Baby Elephant Necklace is handcrafted in fine silver and features a heart on the back with one large initial or up to three tiny ones. It has a satin finish and the back is stamped with my dragonfly maker's mark and ".999" to signify fine silver. Your choice of sterling silver chain is included. 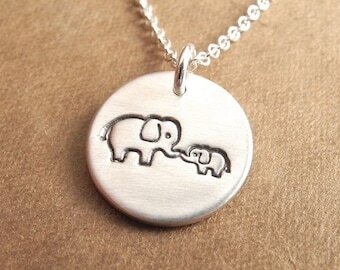 Absolutely adorable and wonderful quality! Shipped fast as well! Bought for a gift and I was thrilled by the quality of the piece, very well made and adorable!